All the BBC’s national radio stations along with many commercial stations are available on the Sky EPG. No viewing card is required to listen, all the radio stations on Sky can be received on any digital satellite receiver. Bitrates for some stations along with sound quality are better on satellite than on DAB. Sky maintains an electronic programme guide (EPG) which provides information about upcoming programmes and a list of stations. Radio stations available on Sky are assigned a three digit logical channel number which can be entered on a remote control to access the channel and determines in what order channels are listed. The EPG differs depending on the viewer’s location due to limited regional availability of certain channels or conditions relating to their must-carry status. 192 kbps Joint Stereo Channel Line-up on Sky. 192 kbps Joint Stereo Youth orientated Popular music and speech. 192 kbps Joint Stereo Classical Music. 192 kbps Joint Stereo News & Speech. 96 kbps Mono Live news and sport. 128 kbps Joint Stereo Adult contemporary music, with national news. 64 kbps Mono Sport & Talk. 160 kbps Joint Stereo Contemporary hit radio, news, entertainment, speech, showbiz. 160 kbps Joint Stereo A national Classic Rock station owned by Bauer Radio. 160 kbps Joint Stereo Rhythmic AC & Hot AC. 128 kbps Joint Stereo News & Talk. 128 kbps Joint Stereo BBC Radio Scotland is Scotland’s national radio station. 128 kbps Joint Stereo BBC Radio Wales is Wales’s national English language radio station. 128 kbps Joint Stereo BBC Radio Ulster is one of two national stations in NI. 128 kbps Joint Stereo South Asian orientated. 160 kbps Joint Stereo Classic rock Alternative rock Funk Indie Jazz Hip Hop. 128 kbps Joint Stereo Golden oldies. 64 kbps Mono News and current affairs. 160 kbps Joint Stereo News & Talk. 64 kbps Joint Stereo British Pakistani stations. 160 kbps Joint Stereo Relaxing Music Mix. 128 kbps Joint Stereo Classic & 21st Century Soul Station. 128 kbps Joint Stereo Delivering extra choice for British Sikhs and Panjabi speakers. 160 kbps Joint Stereo Comedy, Drama, and Children’s programming. 160 kbps Joint Stereo Urban music, hip-hop, grime and dancehall. 96 kbps Mono Christian programming. 128 kbps Joint Stereo BBC radio station, broadcasting in Scottish Gaelic. 96 kbps Mono News & Speech. 96 kbps Mono Additional sports coverage. 160 kbps Joint Stereo Easy Listening. 128 kbps Joint Stereo Global Catholic Network. 96 kbps Mono Gurbani channel. 96 kbps Mono Asian Gold Radio. 96 kbps Mono Local radio for London. 128 kbps Joint Stereo BBC Radio Foyle is one of two national stations in NI. 128 kbps Joint Stereo BBC Radio Cymru is Wales’s national Welsh-language radio station. 192 kbps Joint Stereo Irish public-service station. 192 kbps Joint Stereo Pop music programming aimed at a young audience. 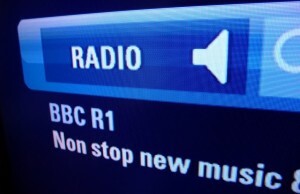 192 kbps Joint Stereo Irish-language radio service from RTÉ. 96 kbps Mono South Asian Programming. 80 kbps Mono A London based station specialising in hip hop, R&B, urban and electronic. dance music owned by Bauer Radio. 80 kbps Mono Melodic soft adult contemporary hits. 64 kbps Mono African rado in the UK. 128 kbps Joint Stereo Adult contemporary music from the 1970s. 128 kbps Joint Stereo Adult contemporary music from the 1980s. 96 kbps Mono Adult contemporary music from the 1990s. 128 kbps Joint Stereo Jazz Music. 96 kbps Mono Classic rock. 128 kbps Mono Music & programmes for the Asian community. Bhangra and Hindi songs as well as poetry. 64 kbps Mono Radio from Ghana in the UK. 128 kbps Joint Stereo Contemporary music. 128 kbps Joint Stereo Christian station.